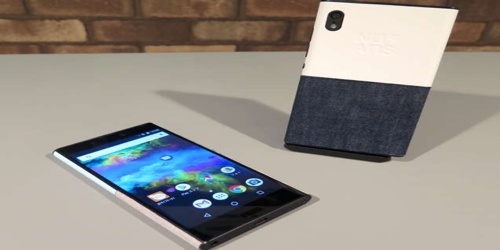 Japanese company NuAns announced back in February that it will drop Windows Phone platform for Google’s Android operating system. Their new smartphone project, NEO Reloaded, is an Android handset with a twist. The designs of today’s devices have become just as important as what they can do in the eyes of many, and no company embodies that approach like NuAns. Its customizable smartphones could be the ultimate fashion accessory. 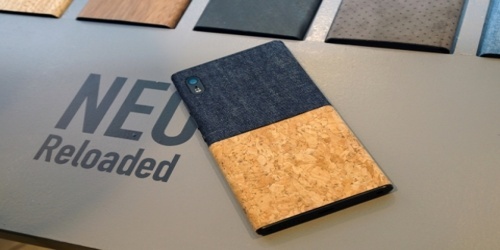 The Neo Reloaded is NuAns’ latest attempt to get its customizable phones to take off. 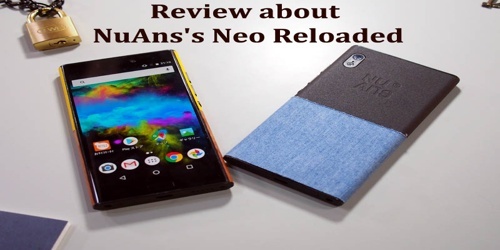 The same company previously launched the NuAns NEO phone in Japan, using Windows 10 Mobile, but a crowdfunding campaign to expand its reach globally failed to reach its goal in 2016. Trinity obviously hopes that the switch to Android Nougat for the NuAns NEO Reloaded will help it reach a larger audience. The Neo Reloaded still looks great. The phone’s most noticeable feature is its removable back plates. Users can mix and match plates for the top and bottom of the phone. The plates will be available in a number of different colors and materials, including more exotic choices like cork, denim, ultrasuede, and stone. The phone has a total of 600 possible combinations for its back plates. The NuAns NEO Reloaded’s hardware specs are in the mid-range for phones. It has a 5.2-inch Full HD display, a Qualcomm Snapdragon 625 processor, 3 GB of RAM and 32 GB of storage, with a microSD card slot to add up to 1 TB of additional storage. It also has a 13 MP rear camera, an 8 MP front-facing camera, a USB Type-C port, a fingerprint scanner on the front and a 3,450 mAh battery. On the back, there’s a 13-megapixel camera with 28mm wide-angle lens, while on the front side NuAns included a secondary 8-megapixel selfie camera with 24mm wide-angle lens. The NEO Reloaded is dust-proof and water splash resistant. 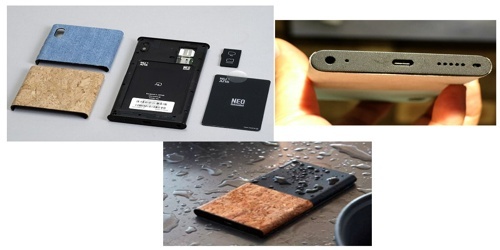 It drains energy from a 3,450 mAh battery and features USB Type-C port, LTE support, fingerprint sensor and microSD card slot for memory expansion (up to 1TB). Neo Reloaded adds a fingerprint sensor to the bottom bezel, which is a great addition, but like the Windows Phone version before it, it still exclusively uses software buttons for navigation. Neo Reloaded is only available to purchase in Japan right now, after a canceled Indiegogo campaign, where it costs 46,111 Japanese yen (or around $409) for the base phone. The two-tone backplates are sold separately, and cost around $15 each, with the exception of some pricey leather options.